Since the company was formed in 1992, the initial task was to buy old, derelict and unused properties within Caernarfon town walls. The company has transformed over twenty unused properties in the town which are now occupied by several companies and as residential property. You are welcome to contact us by email if you wish to join our waiting list for property. Please email : eiddo@galericaernarfon.com with your name / contact number and what kind of property that you are looking for – shop / office etc. 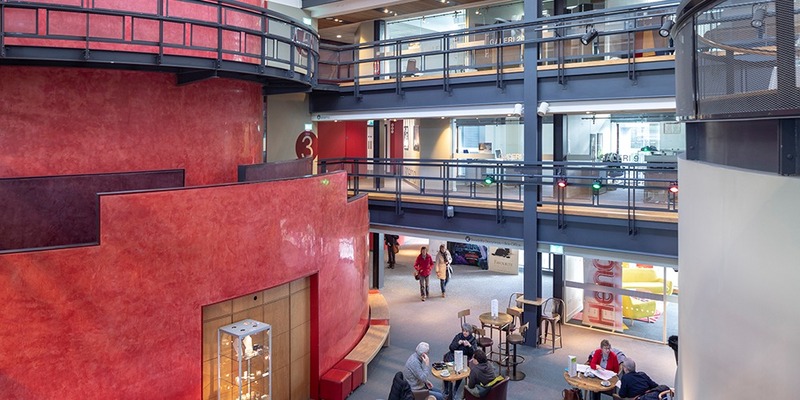 Since Galeri opened in 2005, the centre has been home to a range of resident companies – all engaged in the arts and/or creative industries. We currently have units available to let within Galeri – one of Wales’ busiest and thriving venues. The units available range in size (from 17m2), and Galeri offers perspective tenants the perfect location to be based at, ample parking within walking distance, situated close to the walled town of Caernarfon and its vibrancy, an on-site café bar serving fresh local produce and access to discounted meeting rooms and conferencing facilities. Access to the building 7 days a week: from 07:30 onwards Monday-Friday & from 09:00 Saturday-Sunday.